Don't get too excited just yet, but it looks like Gremlins 3 may be a little bit closer to becoming a reality. That is, if we're to read into Zach Galligan's latest Twitter post about the long-discussed sequel that just can't seem to actually get off the ground. Galligan has been campaigning to get this movie made for a long time and, so far, nothing has materialized. As of late, he's been calling on the masses to come together and voice their desire for Gremlins 3. Has that worked? Is Warner Bros. finally going to pull the trigger and make this thing happen? 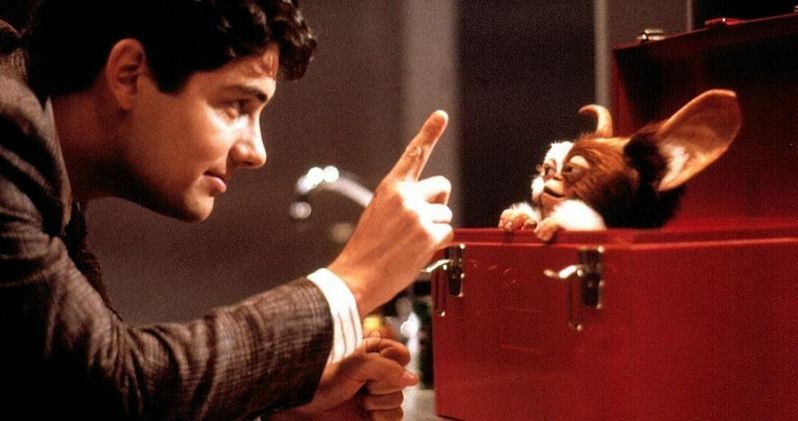 Zach Galligan, who stars in both Gremlins and Gremlins 2: The New Batch, took to Twitter recently to, at the very least, try and creatively express his desire to do another movie, but is he actually teasing a new development here? The post features a shot from Gremlins 2: The New Batch with his character and the loveable Gizmo, along with the caption providing a dialogue taking place between the two. Here's how the caption reads. "Gizmo: 'Dad, I wanna do another movie.' Me: 'OK, on one condition. YOU'LL have to do it. No CGI, OK ?' Gizmo: 'Neat!' #MogwaiMonday #Gizmo #80s #gremlins ...3 ?" That pesky little question mark is what makes this whole thing a little more interesting than some of the other posts made over the years about Gremlins 3. Last month, Zach Galligan posted a similar tweet but asked his followers to retweet it as much as possible and do everything they could to get the studio's attention. That's pretty much how Deadpool got made originally, but that was aided by some amazing leaked test footage. Gremlins 3 doesn't have anything as attention-grabbing to really get people on board. But Galligan is pretty committed to making sure we don't have a bunch of CGI Gremlins running around. Gremlins 3, or a possible reboot, has been in some form of development for years now, but for whatever reason, it's one of those projects that's stuck in the land known as development hell. Chris Columbus, who wrote the original Gremlins, has been involved and has a script for the new movie, but Warner Bros. hasn't pulled the trigger on it. We also know that, at one point, that script was possibly going to kill Gizmo. But don't worry, that's not going to happen. At least not as far as we know. Max Landis also pitched a found footage version of Gremlins 3 that would have featured all new characters, but would have still been connected to the original movies. For now, all we can do is maybe hope this is more than Zach Galligan expressing his desire for another Gremlins movie. Chris Columbus is going to be a little busy, as he just got hired to make a Five Nights at Freddy's movie for Blumhouse Productions. Maybe he can talk them into making a deal to do Gremlins 3 somehow? You can check out Zach Galligan's Twitter post for yourself below. Gizmo: "Dad, I wanna do another movie." Me: "OK, on one condition. YOU'LL have to do it. No CGI, OK ?"